For those who want to test themselves in extreme conditions, teenagers, athletes and outdoor enthusiasts, we build a ropes course at an altitude of more than 4 meters. 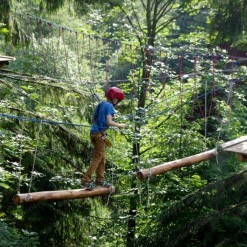 Different routes can take place at different heights. 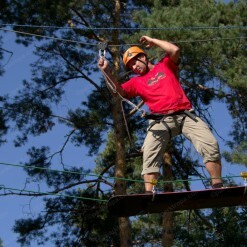 Rising above at the level of difficulty, each participant has an opportunity to improve the skills. 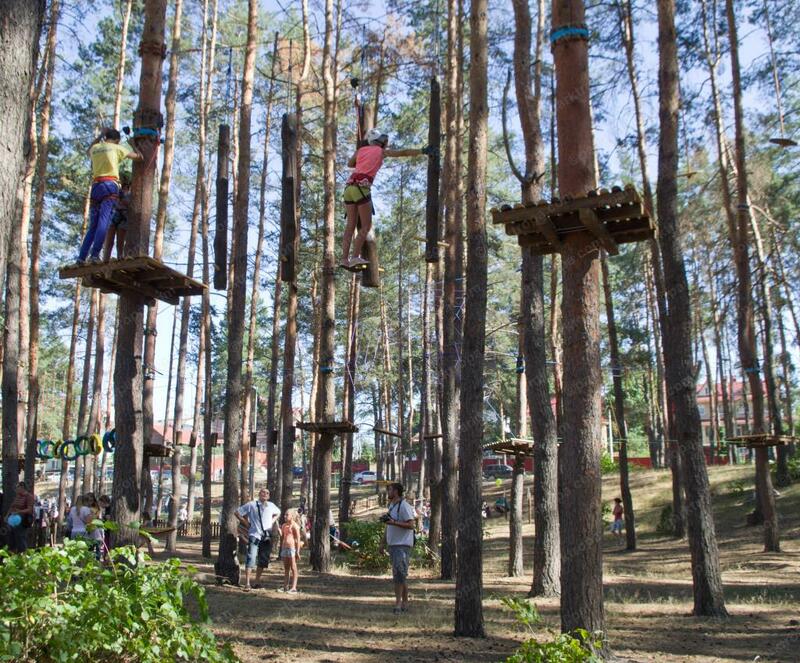 Some lines of rope parks can reach 15 meters from the ground, where you can fully experience the extreme of altitude. 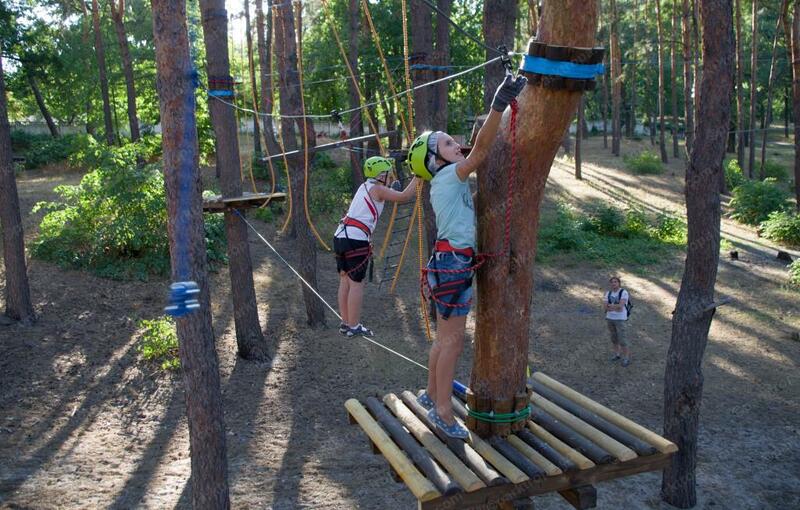 Reliable continuous belay system helps to overcome confidently interesting rope routes. 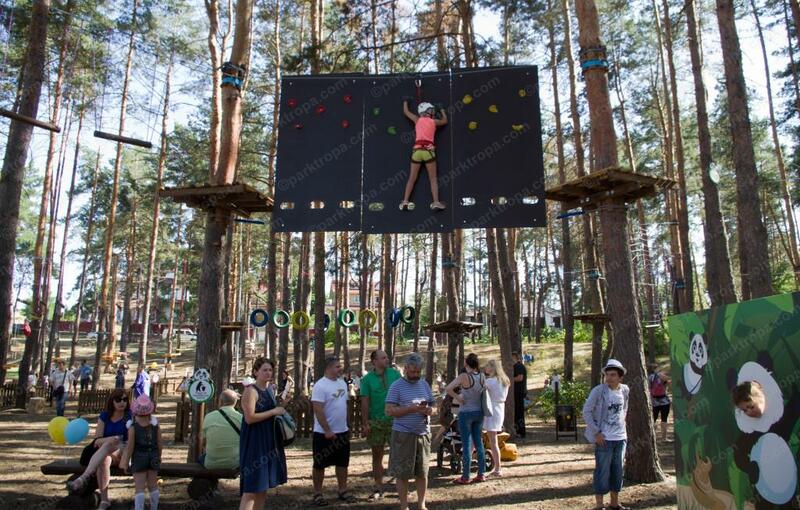 With continuous belay mechanism the participant is permanently connected to the tether over the entire route, which eliminates the possibility of errors in the altitude as a result of the human factor. 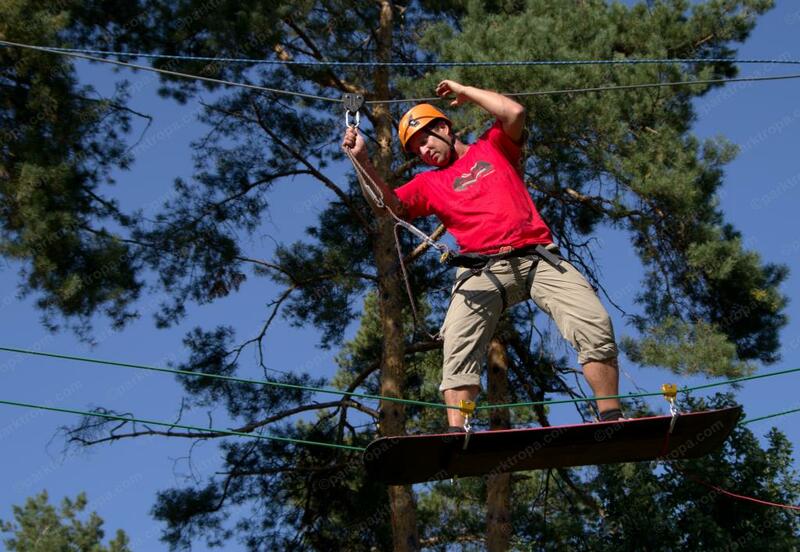 Safety of the participant is guaranteed by manufacturers of certified safety equipment of leading European brands. 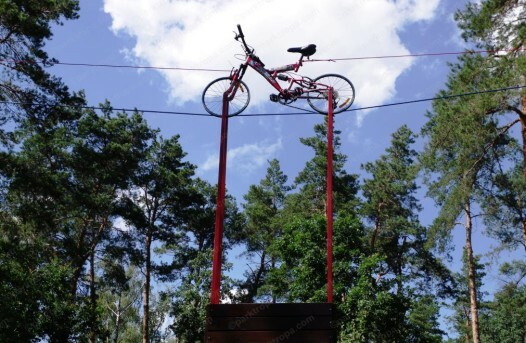 Who has not dreamed in childhood, for example, cycling under the big top. 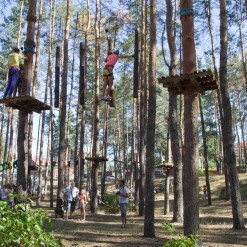 And do you want to ride on a skateboard with the “wind” not on the asphalt but on the ropes stretched between two trees? 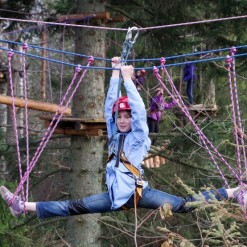 Such a pleasure can wait for you in the ropes course at a height of 10 m above the ground. 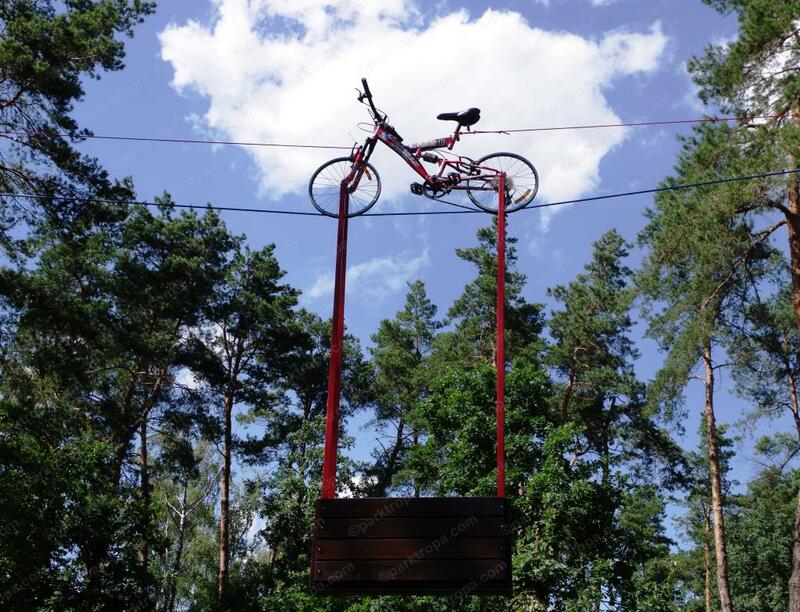 Air bicycle is secured with the wheels on a reliable steel cable. Against the background of bright green grass there is a complete illusion that you simply hover in the air! 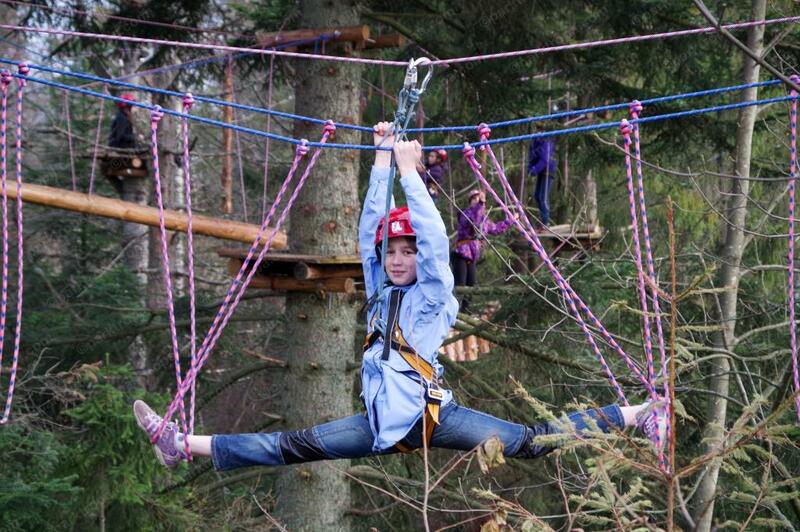 There can be 20, 50 or even 100 bright, different and interesting attractions in the high ropes course. 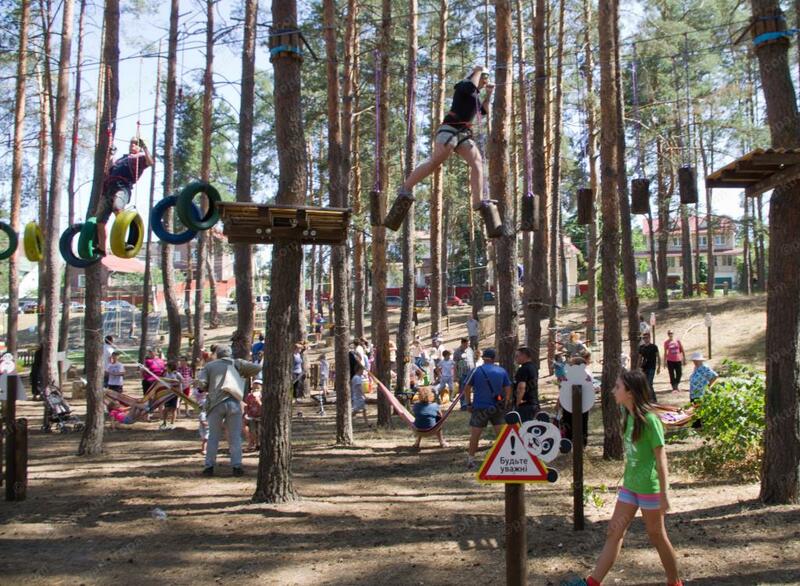 Then, a high ropes course not simply transformes into an amusement park, but in a rope city with own streets and intersections. 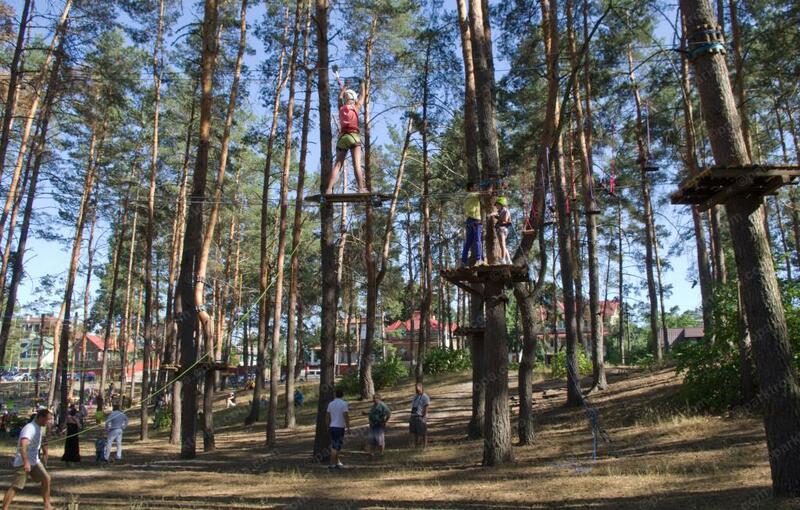 Besides trolleys, snowboards, bicycles and other unusual attractions at a height, rope city can have its own pavilions and restaurants on the trees, and even real tree houses. Life in such rope city is bustling since the morning until the evening. How to choose suitable trees. 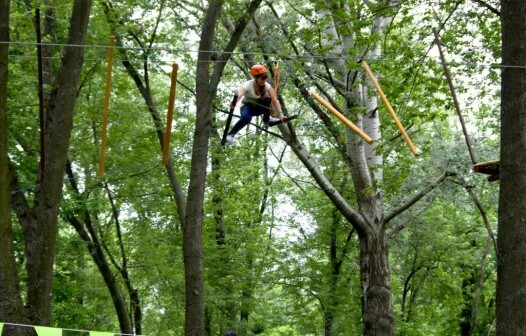 The construction of rope park at a height requires reliable pillars, so the trees are of special requirements. 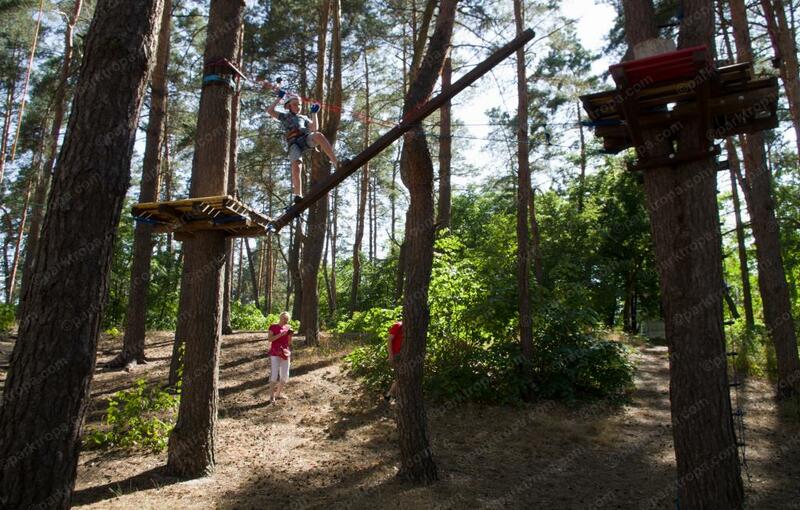 The trunk of the tree in the attachment point should be free of side branches and have a minimum diameter of 120 mm. The tree should be healthy and tall. 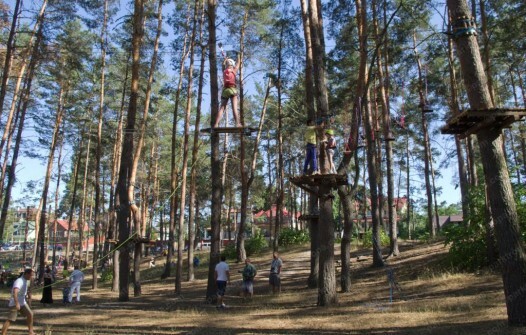 Coniferous and deciduous forests are ideal for the construction of rope park on the trees. Are not recommended birch, poplar and maple because of the weak type of root system. We like to build on the trees and are very careful to protect them. We protect the trunk of the tree at the attachment points by special pads, without damaging the bark. We treat attachment points with antiseptic and protective solutions. During the growing season we relax tension for the full growth of trees. 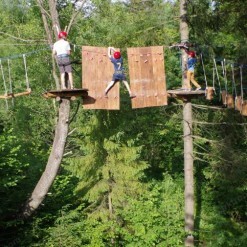 Resting in ropes course built with love, one can feel the harmony and unity with nature. 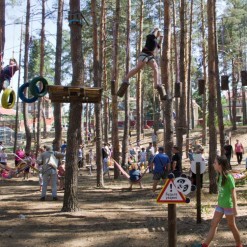 The popularity of the high rope park. 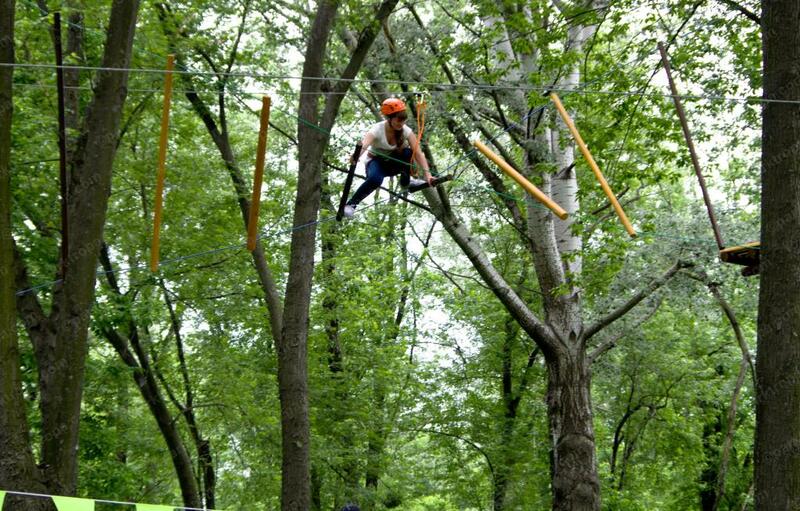 The high ropes course in the trees is perfect for urban recreation parks, country sports clubs, children’s sports camps, ski resorts, as well as hotels and residences, developing an active component. 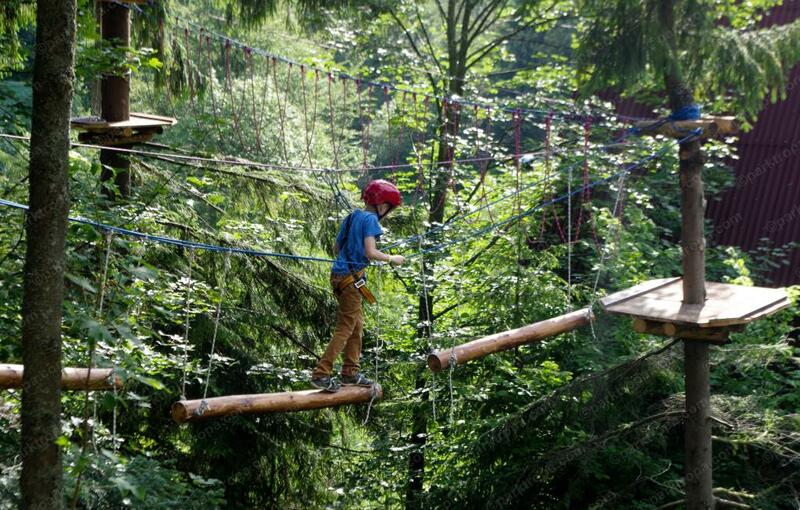 Regular exercises in the high ropes course outdoors develop all muscle groups, coordination and the ability to overcome the natural fear of heights, teach the rules of mountaineering belay, and how to work with safety equipment. 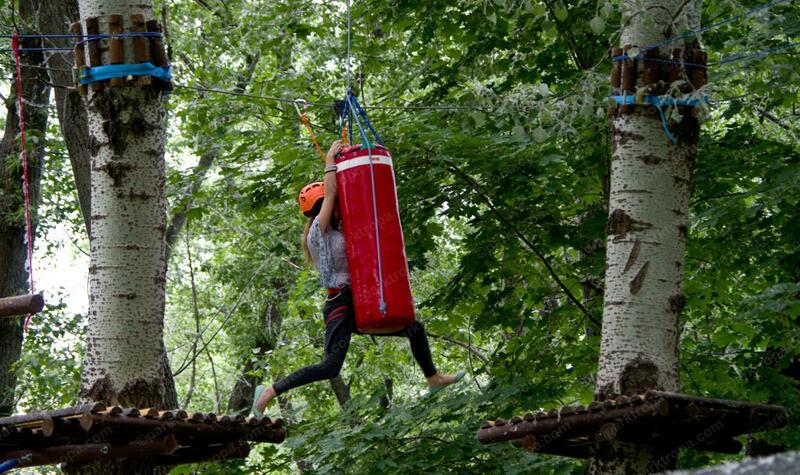 A pleasant emotions, good mood and harmony with nature are the perfect complement for those who decide to spend their holidays in your ropes course. 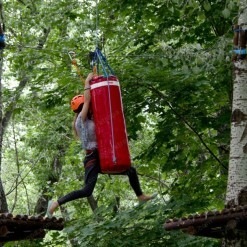 Build a high ropes course with us!